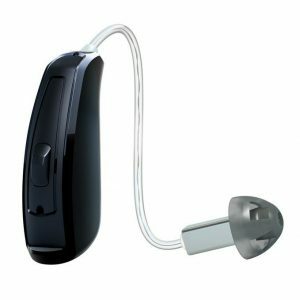 Hear Better Inc. is committed to offering their Patients the best opportunity to experience Effortless Hearing! Surround Sound by ReSound enables our patients to enjoy a rich, natural sound and exceptional speech understanding. Surround Sound is ReSound’s commitment to deliver, taking full advantage of the brain’s natural ability to recognize and localize sounds. Our Best Fitting Practices dictate that we spend the time necessary engaging our Patients in the fitting process ensuring the best possible outcomes for our Patients and for our professional reputation. Our Specialists are State Licensed Hearing Aid Specialists and National Board Certified in Hearing Instrument Sciences. See article: Audiologist or Hearing Aid Specialist on our Home Page. ReSound Smart Fit is our Patients’ gateway to the new era of tele-health. No matter where our Patients may reside or travel we can counsel and adjust programming through “Cloud Based” contact with our patients and their hearing aids, helping us deliver on our promises of effortless hearing in most all situations. Your Exciting First Initial Fitting and personal follow-ups will always take place in our offices. For our patients that will benefit most, upon activating ReSound Assist Technology in the software, we can counsel and make programming adjustments for our patients wherever they may be by special delivery to the patient’s hearing aid via their Smart Phone through the “Cloud” allowing us to provide even greater service and access to your hearing Professional.